REMINDER: Don’t forget to make your bid for a featured spot on my blog. Deadline is tomorrow evening at 7:15. You have to beat the current high bid of $100. 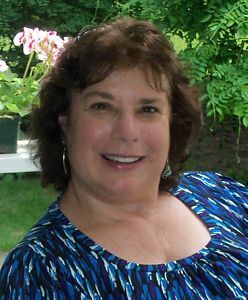 As promised, my Featured Guest today is Vivian Vande Velde, an old friend and outstanding author of children’s literature. You are in for a treat. Vivian delivers good advice for writers in all stages of experience. Vivian, the floor is yours. Some aspiring writers seem to think that secrets are being kept from them. That if only a helpful editor would explain what she’s looking for, or if an already-published writer would share The Rules–then they, too, could get published. But turn the tables around. If I asked you, “What do you look for in a story?” what would you answer? You can tell me what you’ve liked in the past and what you traditionally haven’t enjoyed, but there are always exceptions. Perhaps you love convoluted mysteries with idiosyncratic characters, or maybe stories of adventure and magic, or how about something heartwarming and with gentle humor? Even without knowing you, I know that sometimes you’ve started reading a book–maybe even by your favorite author–that sounded exactly right, but then it just didn‘t capture your attention.. And–on the other hand–you’ve sometimes had zero expectation for a book or movie, and suddenly found yourself unavoidably charmed by it. So editors are not being cagey when they seem to be avoiding giving a straight answer. And neither are authors who can’t give you the secret formula to success. As authors (or, for that matter, as readers), we have to decide for ourselves what makes a good story, keeping in mind that we each have our own ideas about what makes a story good. That’s why we can have radically different books aimed at the same audience, such as Patricia MacLachlan’s Sarah, Plain and Tall (67 pages of crisp lyricism) and J.K. Rowling’s Harry Potter and the Sorcerer’s Stone (309 pages of action and well-thought-out surprises)–both right for 9 – 12 year-olds. So, in the absence of engraved-in-tablets-of-stone rules about what always works and what can absolutely never be done in writing, all anyone can do is give opinion. Here is my opinion: I don’t like coincidence. 	Each one was succeeded by a vice president named Johnson (Andrew and Lyndon). What do those coincidences add up to? And that’s the difference between reality and fiction. In fiction, we want the story to mean something, not to be a random set of happenings. 1. They should be used sparingly. 2. They’re better at the beginning of a story than at the end. 3. They are more believable if they complicate things for the main character rather than help him. Let’s say we’re reading a story about a poor girl with nothing to eat, she’s bare-footed and her clothes are rags, her parents’ house is about to be repossessed by the bank, and her dog will go blind without an operation. We want the book to end with something good happening for the unfortunate child. But if that good is someone handing her the winning lottery ticket, I think the majority of us would be tempted to fling the book at the wall. On the other hand, if the story starts with the character holding the winning lottery ticket, and she’s rushing to turn it in, delighted at the thought of no more money worries ever, then a gust of wind tears it out of her hand and sends it skittering down the street, into traffic, and–before she can catch up–into the river, through the rapids, and over the waterfall, at which point a passing alligator snaps it up and swallows, that’s coincidence we want to believe. Now, we’re eager to see how far she’ll go to try to retrieve the ticket, or how she’ll cope with the loss. Here’s another opinion I have, related to the first: I don’t care if it really happened. Just keep in mind that–as long as you’re writing fiction, not non-fiction–making up details or motivations, or adding people who weren’t really there is not only allowed, it’s necessary. Sticking with that lottery ticket theme, let’s say our character cracks open a Chinese fortune cookie and reads that she’s going to win the lottery. Where can the story go from there? 1. The cookie is right, and she wins the lottery. 2. The cookie is wrong, and she doesn‘t win. If, on the other hand, the prediction doesn’t come true, we can still have an interesting story–but only so long as our character entirely believes the fortune and acts accordingly. Perhaps she cashes in all her savings to buy a multitude of tickets to increase her chances of winning. Maybe she tells off her boss, since she figures she won’t need a job next week because she’ll be a millionaire by then. Maybe she chooses now to sever her relationship with friends or relatives in order to avoid their coming to her for money once she’s hit the jackpot. But what won’t work is what actually happens most often in real life: She reads the fortune, does nothing to ensure or prevent it, and the prediction doesn’t come true. What I’m saying is that when things are mentioned in a story, they should not be there simply to beef up the word count or to get your character from one scene to another. Which means you don’t need to start your story the way you start the majority of your days, by having the character wake up in his bed at home at his normal hour, nice and calm and normal. (Translation: boring.) You shouldn’t have him eat his cereal, brush his teeth, pet the dog, and have a routine morning conversation with his family–unless, of course, your character is about to be poisoned, have his teeth fall out, get bitten by the dog, or learn that his parents and siblings have been replaced by aliens. Choose your details carefully, and make them relevant. Make them be about things you would want to read even if you hadn’t written them. Which brings us to the one opinion which I believe qualifies as a rule: You should write the story YOU want to read. If you try to write to a trend, or about a topic someone has told you is hot, or in a genre that you think is marketable but that you don’t care for, you won’t be happy, and that means your readers most likely won’t be happy either. And good reading–and good writing–to you. I became a writer because I love stories–all kinds of stories, but especially fantasy. I can’t remember a time before I wanted to be a writer. My parents did a great job of convincing me I could do whatever I set my mind to. • J.K. RowlingWriting can be easier if you have the support of other writers. Luckily for me, there are a lot of children’s writers in the Rochester area. I belong to two groups, each with wonderful people who help each other by asking gentle questions (What is it, exactly, dear, that you’re trying to say here?) and who offer encouragement and advice to each other. And besides that, they’re a lot of fun. UPDATE: After I posted information about the auction for a featured spot on my blog to raise funding for scholarships for aspiring young writers, we received an opening bid of $100 from Kay Logsdon. I’m delighted to be off to such a good start. The bidding will remain open to the moment the auction is closed at 7:15 p.m. on March 19 at the annual Writers Hall of Fame dinner. That night from 6:00 – 7:15, people at the banquet will have a chance to make bids too. I’ll make sure that any bids received here on the blog will be entered on the bidding sheet that evening. Furthermore, I’ll turn on my cell phone from 6:00 – 7:15 so that you can call me to see what the high bid is and make a new one if you desire. How’s that for a plan? I’ll give the phone number to bidders who contact me by e-mail and ask for it. My address is davidlharrison1@att.net .